Your best option for purchasing tickets will be online at Ticketmaster.com or at DallasSummerMusicals.org. Protect your investment. Each ticket has a one-of-a-kind barcode. Sharing this bar code online can compromise your tickets. Do not share a photo of the barcode on your HAMILTON tickets with anyone – especially on social media. Keep them in a safe place. #CoverTheCode. Music Hall at Fair Park Box Office, DallasSummerMusicals.org, and Ticketmaster.com are the only OFFICIAL TICKETING PROVIDERS for HAMILTON at the Music Hall at Fair Park. Tickets obtained from unauthorized sources are often greatly inflated in price. They may be stolen, counterfeit or invalid and may not be honored. Tickets purchased from other sources are not eligible for replacement if tickets are lost or stolen, or if the event is canceled or rescheduled. Dallas Summer Musicals is not responsible for tickets purchased from other sources. Purchase your tickets from Ticketmaster.com or directly at the Music Hall at Fair Park Box Office. Ticket prices exceeding $550.00 at the on sale. Most tickets in Dallas will not exceed $200.00 (plus applicable fees) at the on sale. There are a select number of $550.00 premium seats available for each performance. If you see tickets for hundreds or thousands of dollars, you are probably buying from a third-party ticket broker. There is no guarantee these tickets are genuine. What is the run time for HAMILTON? Running time is 2 hours and 45 minutes including intermission. HAMILTON is appropriate for ages 10+ since there is some strong language. Every patron, regardless of age, must have a ticket. Yes. Please see below for the relevant dates. More information on how to purchase will be available at a later date. No. 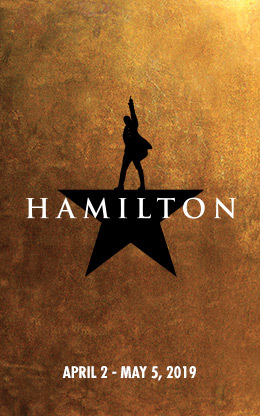 Group sales are not available for HAMILTON. There is a strict limit of four (4) tickets per household address. After all available tickets are sold, all of the online purchases will be reviewed. Any and all purchases found violating the HAMILTON ticket policy will be canceled without further consideration. There are no discounts for any tickets for HAMILTON. There will be a lottery for this engagement. More details will be available soon. Follow us on Facebook and Twitter to ensure you get the latest updates on the show. Subscribers: HAMILTON exchanges are no longer available.